The Clayton Piano Festival is celebrating their 5th season this Fall with an astounding line-up of artists. The season schedule of concerts will run October 14th through October 22nd. Organizers are expanding the festival to reach a larger community and have added additional events to celebrate this important anniversary. This year there will be six concerts with one at the Cary Arts Center and another at the Preston Woodall House in Benson, with the remaining events to be held in Clayton. 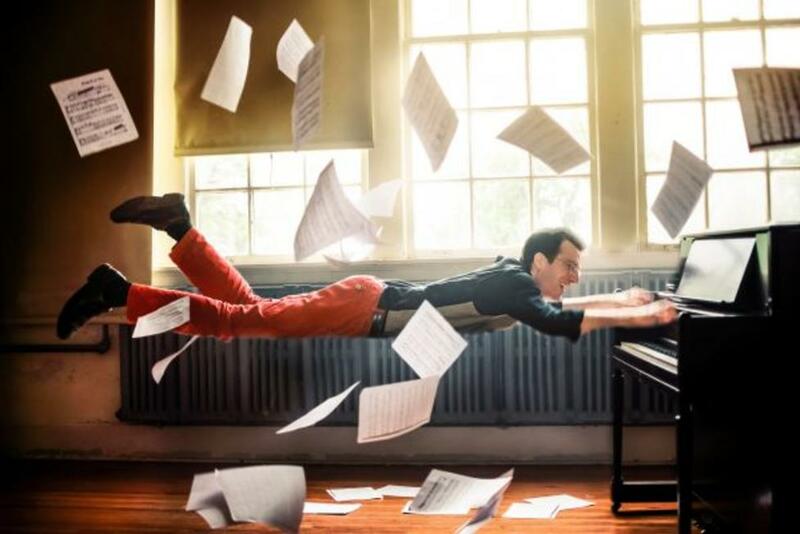 The format of the Clayton Piano Festival is built on the premise of accessibility and interaction with the artist. As in past years, there will be intimate dinner concerts at smaller venues, and social “meet the artist” receptions following the concerts to enhance the experience for attendees. There will be outreach programs to area schools to share the importance of music education and bring concert quality performances to more than 1,000 students. Levin, himself always modest, will be a can’t miss performance as well. Just last week he performed a solo recital debut at New York City’s Carnegie Hall. Rorianne Schrade reviewed the performance for New York Concert Review and had this to say, “Showmanship, intelligence, more than ample pianism, and sensitive musicality are all wrapped up in one package in this young artist, so he should do quite well in his career.” This year’s festival line-up offers a unique chance to catch Jonathan in his hometown of Clayton. Along with returning performers Jonathan Levin and Angelo Rondello, newcomer and renown ragtime pianist and composer Mill McNally at the Preston Woodall House and Russian pianist Azamat Sydykov at the Wagner House will be charming audiences with their performances. Which include dinner provided by the venue, and each will also include a reception to meet the artist. The final gala will truly be a show stopper. Hear five CPF artists perform, each sharing inspiring insights into a work with special personal significance for them. Special guest, Mary Prescott, an adventurous, multi-genre artist, joins the others as she shares her unique voyage into learning the art of improvisation. 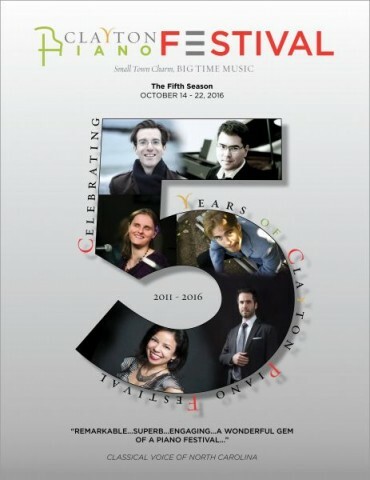 To conclude the concert and the 5th season, all 5 artists will perform together on stage at the same time…on 5 pianos! With six hundred seats to fill, the organizers of the final concert are offering FREE tickets for children up to age 18, one for each paid adult ticket. General ticket prices for Concerts with Dinner at The Wagner House and Preston Woodall House are $45.00 adult, $35.00 seniors, $25.00 students, concerts only $15.00 for adults and $5.00 students. For the Sunday performance by Jonathan Levin at the Wagner House, tickets are $15.00 adults and $5.00 students/children. The final concert performance featuring all five pianos will be $20.00 adults, $15.00 for seniors and military, and FREE for children under 18 years old. Tickets for the event are available at www.claytonpianofestival.org/schedule-tickets and tickets for the final performance may be purchased directly with The Clayton Center at www.theclaytoncenter.com.